In the pairs of advertisements below, the image on the left is the original 'greenwashing' ad that appeared in Harpers in the late 1990s. On the right is my own own attack ad. The project was a winner in Adbusters Creative Resistance contest of 2000, and was used as an example of performative parody by Jeffery Everett in a 2004 article. The French Colonial Archive (Archives nationales d'outre-mer) in Aix-en-Provence has launched a new and wonderful online exhibition about Auguste Pavie. 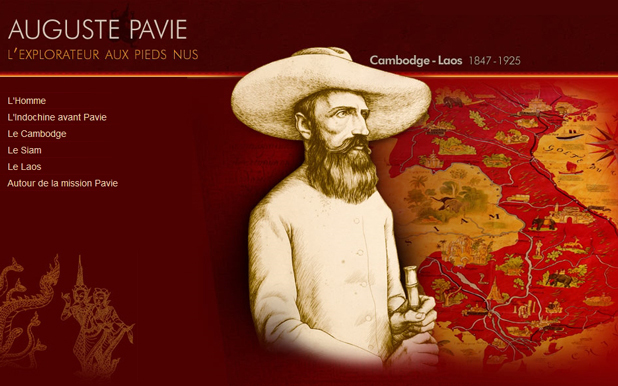 Pavie was the French explorateurwhose writings and maps provide one of the most important documents of the history and culture of French Indochina at the turn of the last century. The exhibition, including the introductory video, can be viewed in French or English. You can take David Harvey's class on Marx's Capital. Hours of video, loads of fun! David Harvey has been teaching Karl Marx�s Capital, Volume I for nearly 40 years, and his lectures are now available online for the first time. This open course consists of 13 video lectures of Professor Harvey�s close chapter by chapter reading of Capital, Volume I.
Vietnam is not the enemy! This is an actual map from the book Culture of the East Asian World by theDefense Language Institute of Monterey, California. It's part of a training course for defense analysts that stresses the "importance of sensitivity by military intelligence linguists to cultures of East Asia." Graduate and undergraduate students alike will benefit from checking out Timothy Burke's excellent advice on managing the heavy reading load that your professors (me included) impose on you. See his advice here. I would just add one thing to his comments. Sometimes, something is so beautifully written that it demands you just cancel your other appointments and sit there and read it from start to finish. This site is called "MeatRadio" because I didn't want to call it "jonathanpadwe.com". In Paraguay, the term radio so'o is a mashup of Spanish and Guarani words. The literal translation is "meat radio", but its meaning, basically, is "gossip" or "news". The idea is that when you throw a barbecue, word travels fast. 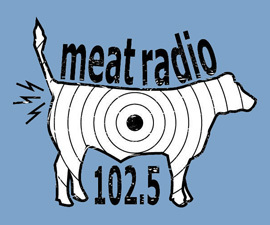 There is, in fact, a radio station in north Texas called Meat Radio. So, "if you live around Lakewood or Lower Greenville, turn your dial to 102.5 FM." According to them, "it may take a little work - you've gotta find a sweet spot - but when you do, leave it there."